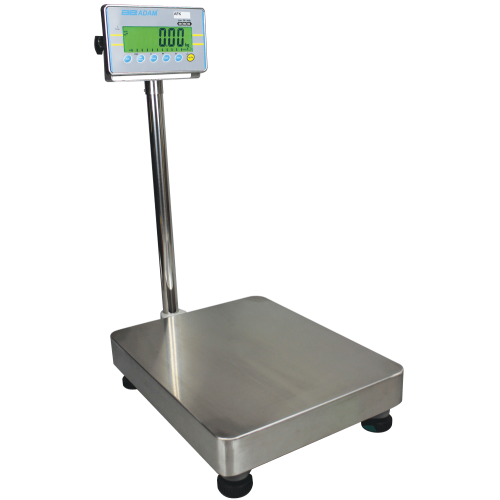 With an oversized stainless steel pan for counting and weighing, AFK floor scales provide an outstanding value for industrial shipping and receiving tasks. Component manufacturers rely on AFK scales to count small parts before sending them to assemblers. The AFK effectively weighs animals, wholesale produce or luggage at airport counters. Dynamic weighing effectively captures readings for live animals or other items that move during weighing, such as liquid ingredients during batching in a commercial bakery, at a chemical plant, or during concrete production.